Free car seat safety check available to the public. 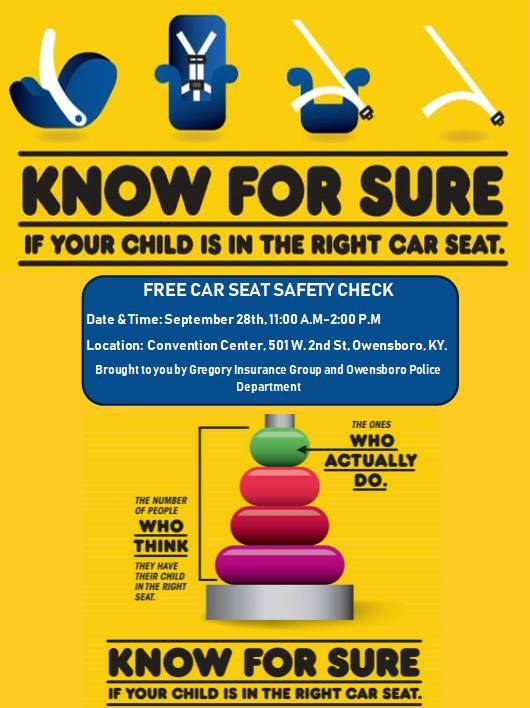 Certified professionals will be checking to see if your child’s car seat has been recalled, is the appropriate seat for your child and if it has been installed properly. No appointment needed to have your car seat checked and installed properly.